Pico's father isn't like the other fathers on Easter Island. Instead of building boats or hunting octopus, he sculpts the giant stone figures that he believes, in times of trouble, will rise and walk. Impossible, thinks Pico, until the Great Wave crashes into the island and Pico experiences firsthand the wonder of the stones. 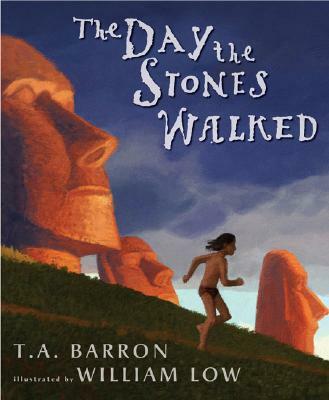 In this stunning tale of faith and the humbling power of nature, T. A. Barron and William Low envision life as it might have been on the mysterious Easter Island . . . before the stones became the island's only inhabitants.